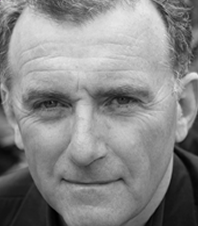 Brian has made a career from his voice (initially as a singer and actor) and subsequently as a specialist in all areas of voice work for over 20 years. He has also scripted and produced for the corporate sector as well as cast and directed voices. With over 3,000 or so recordings thus far (and he hopes as many ahead of him) he understands the industry first hand. Working alongside great voice artists on a daily basis he knows who is good at what. It is this first-hand, on the job knowledge which has made Spoken4’s casting so effective. If he doesn't know all the 6000 voiceovers in the business on a personal, first name basis then he usually knows someone who does. With a background in sales and experience of running various companies, you’ll find Rita’s business-like approach and attention to detail make her frighteningly efficient (ask Brian…) She has combined a career as a presenter with co-running Spoken4. Rita looks after the nuts and bolts end of the bookings and is responsible for marketing and finances. If you would like to see clips of Rita's presenting work, please contact her at rita@spoken4.net.